Images are the language of the internet. People don’t even speak in words anymore, they speak in emojis. The most compelling websites use images to tell a story or convey a message. Even text itself has to be beautiful. That’s all well and great, but the web developers on the other end of the screen are left with the job of trying to figure out how to make all of these really beautiful pictures actually workable, loadable and viewable. This is no easy task. If the language of the internet is images, then time is its emotional core. People are not patient online. If an image is super bulky and doesn’t load quickly, or worse doesn’t load at all, then they’re gone. The last thing that you want to do is to turn off users because of something as simple to fix as image size. 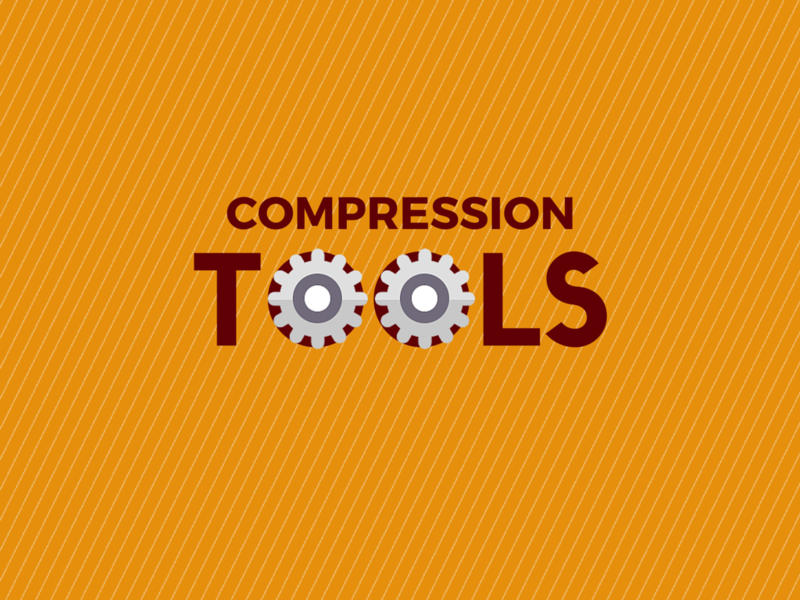 Lucky for us, there are many useful web-based compression tools right here on the Internet! That’s right, you don’t have to download bulky software to create compressed images that load quickly. With just a few clicks, images can become once again manageable in size while still retaining their stunning appearance. While it’s tempting right now to go through some of those details about image compression - lossy versus lossless, fractals and wavelets, etc., you really don’t need to know any of that. What you do need to know is that when you drag and drop an image onto these online tools, it comes out smaller and loads faster while still retaining most of its quality. How much size can you save? Before you keep reading, let’s address what you’re really going to save when you use these tools. The answer is that you’re likely to save a lot, but that’s not guaranteed. What it depends on is what quality your images were to begin with, in addition to the size and current level of compression that you already have going on. Those fancy graphics tools that you’re using to create stunning images are created to make great looking images, not to optimize their size. You can control some level of the final file size by lowering the quality of the image when you save, but you decrease the quality when you do that. Ideally your images will look just as good but just be smaller in size. That’s why these compression tools are so important. Be prepared to only get a reduction of 50 bytes on some jpegs that are already lower quality to begin with. Most of the time that’s not going to be the case, but it does happen so don’t get caught off guard. Most often you’re going to see a 20-40% reduction on the size of your image, a savings that is well worth your time. You’ll find some tools online that use lossy compression to give you even bigger reductions (more on which ones are useful below). With any tool you should see some reduction, unless your image has been optimized already by someone else. Now for the good stuff - the tools. 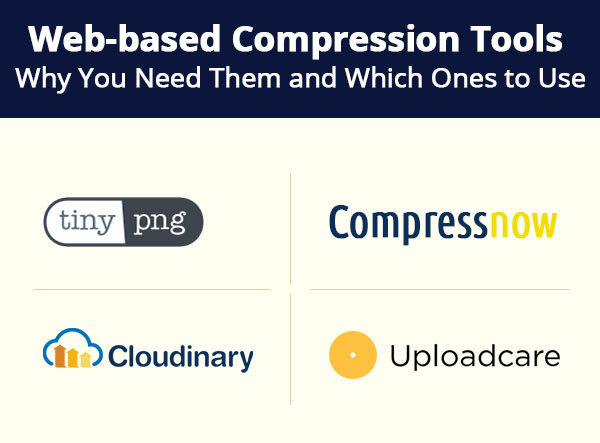 These compression tools are easy to use and do the hard work that comes with compressing various file formats. Part of a wider service package, Cloudinary’s image compression is fully integrated into its platform, allowing for a seamless reduction of file size right inside the system. The user can choose to set the quality parameter of a given image to anywhere between 1 and 100. There are also some additional lossless improvements to optimization when images are generated through its editing tool. The most innovative aspect of Uploadcare’s service is the progressive image compression format, which creates JPEGs that load in passes of improving quality rather than in lines. The difference during loading is striking, offering users a much more seamless and enticing experience. This is only one small portion of the services that are included in Uploadcare, which offers file uploading, storage and processing. File compression is simple and straightforward, reducing size effectively while preserving quality. If you need GIF, JPG, or JPEG compression, CompressNOW offers great file reduction for free that’s easy to use. Though the site says that PNG images are supported, they lose any transparency. The interface is simple. This service has quite a few ads, which are slightly annoying but don’t interfere with the actual function at all. What you will find is that your images come out beautifully, even when you reduce the files size considerably. You have a great deal of control with CompressNOW, with an option for compression percentage that allows you to determine how to much quality you’re willing to sacrifice for file size. Another useful feature is the batch processing ability, which allows you to compress up to 10 images at up to 3MB each at once. Individual images can be up to 9MB with single file processing. The most impressive aspect of TinyPNG is of course that it preserves transparency. This feature is one that is unlike most services out there, but it’s one that you can definitely appreciate even if you don’t always use it. TinyPNG effectively combines colors that are similar, reducing the amount of data that’s needed for an image without sacrificing the quality (advanced lossy compression). Another great thing about using this service? No workarounds for binary transparency! A big bonus of this service is that it’s ad-free and actually free (with limitations on quantity), which also makes it different than other services out there. While TinyPNG offers a web-based compression tool that’s easy to use, there are also seamless plugins for Windows, Mac, Photoshop, Magneto and Wordpress. The bottom line is that it doesn’t matter which of these web-based compression tools you use, the basic functionality of most of them is similar enough that you’ll be able to accomplish the file size shrinking that you’re looking for from any device without having to download anything. That kind of fluidity and functionality is the heart of compression technology. There’s no excuse for slow loading, over inflated images! 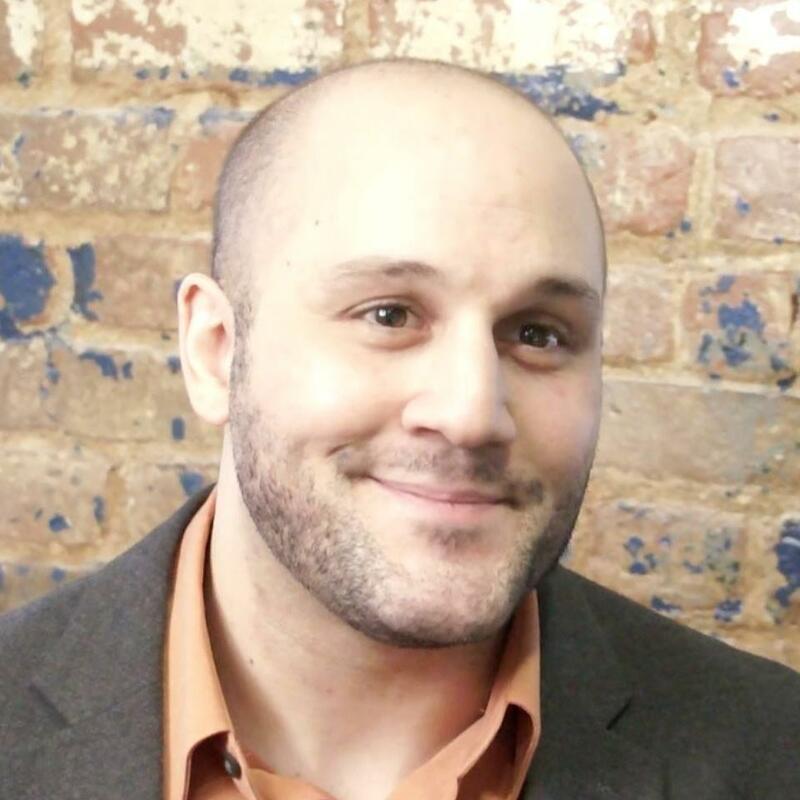 Maximize your user’s experience without sacrificing your time or money.